It is possible to rent electric boats at affordable rates and without boat license at Econoleggio Comolake at Colico. Francesco Melzi d'Eril, Duke of Lodi, Vice President of the First Italian Republic and a personal friend of Napoleon, decided at the beginning of the nineteenth century to build a summer residence at Bellagio on a site with an incomparable view and with a mild climate. He wanted it to be as elegant as the Villa Reale in Monza and other villas on Lake Como. Construction of the house was entrusted to Giocondo Albertolli, the architect on whom he had also relied for his Milan palace, while the park was placed in the hands of Luigi Canonica and the agronomist Luigi Villoresi, creators of Monza Park. Constructed to a neo-classical design between 1808 and 1810, its proportions were designed to blend elegantly into the area of the second promontory of Bellagio, almost becoming an integral part of it. The great appeal of this property lies in its extraordinary park facing on to the lake and in the ploys that create an illusion of space, although in reality it is confined between the foot of the hill, which is also a monumental park, and the water. The visitor is greeted by a small lake of water lilies, just beyond a kiosk in Moorish style with a delightful view of Bellagio and in front of the monument of Dante and Beatrice by Comolli, which seems to have inspired Liszt's ''Dante sonata''. Along the lake and beside a splendid Pinus Montezuma there is an ancient Egyptian statue to the goddess Pacht, together with other spoils of Napoleon's Egyptian campaign. 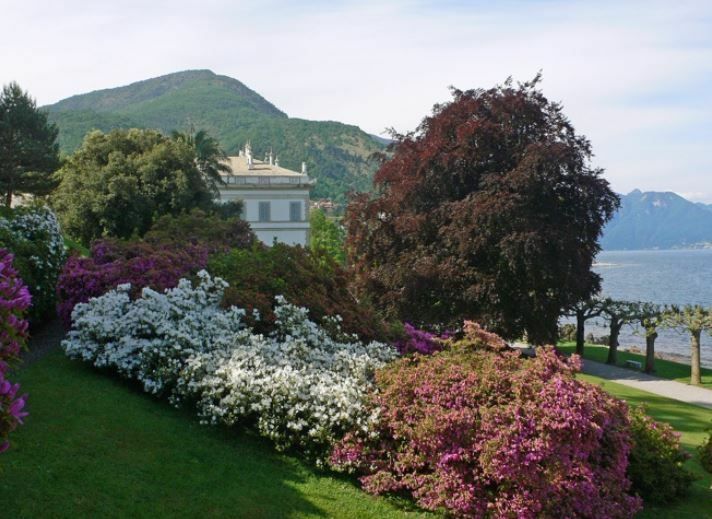 The walk along the avenue of low-cut umbrella-shaped plane trees ends at the huge terrace in front of the villa, with a scenic view of the lake, while all around and near the house there are exquisite ancient statues. The family chapel, also designed by the architect Albertolli, marks off the garden with its splendid neoclassical monuments. In the park rare, exotic trees alternate with others that are centuries old and gigantic flowering hedges of camellias, rhododendrons and azaleas. Among the most valuable examples there are Liriodendron tulipifera, cedars of Lebanon, copper beeches, camphor trees, Ginkgo Bilobas and other species that can be recognised during the walk from the signs placed at the foot of the trees. Inside the park the old orangery greenhouse beside the Villa is now set up as a museum, containing relics and prints of the First Italian Republic. Possibility to stay in the apartments Giardini di Villa Melzi near the hotel.